The rise of the digital age continues to change the way the healthcare industry does business in 2019. Whether you’re looking to start a new career in the healthcare industry or you are looking to gain valuable knowledge and insight to further your career, some smart learning can only help. Here are a few things you should know about virtual medicine. 1. Social Media Is Key. With the rise of social media, most major healthcare companies – and most companies across all business sectors – now know the importance of social media. Whether you are on Facebook, Twitter, Instagram, or YouTube, for example, social media helps you to stay up to date with industry trends, if you are a healthcare professional, or learn about the way surgeries are performed, learn how to connect with other healthcare professionals, or learn how to find a job if you are new to the healthcare field, for example. 2. Apps for Real-Time Online Patient Interaction. These days, you’ll have to look pretty hard to find a business without – at least – a website and possibly an app. As the digital world evolves, it’s becoming the norm that patients are able to do everything from set appointments to viewing their medical charts all from the comfort of their home. As a medical professional in almost any position, you’ll want to be comfortable working with computers in a digital setting. As the cost of technology continues to go down and the percentage of people with access to the Internet goes up, telecommuting for all professions – including healthcare – will continue to rise. For you, it’s great, because you don’t have to dress up and leave home to get paid. For your employer, it’s great, because they don’t need to pay overhead. Avidity Medical Design Academy offers a course entitled, “How to Make Money in Healthcare Working From Home (Full Time!) ,” where you can learn about careers such as medical coding, medical transcription, medical claims processing, medical writing, healthcare teaching, and healthcare customer service, for example, that allow you to work from home. 4. Online Security and the Future of Healthcare. Last but not least, as a healthcare professional, you’ll want to be aware of online security and privacy concerns, especially if you’re telecommuting full- or part-time. Whatever your role, you will likely be exposed to private medical history covered by federal laws such as HIPAA. Review our article entitled, “Everything You Need to Know About HIPAA” to learn more about what HIPAA is and what it means in terms of your work as a healthcare professional. With the rise of virtual medicine, the healthcare industry will continue to evolve, and you’ll want to keep up with the current trends. Visit the Avidity Medical Design Blog for more information on many different topics pertaining to the healthcare industry. Whether you’re just beginning your journey as a virtual medical assistant or you’ve been working as a medical assistant for awhile, you may be interested in learning new ways to market yourself as a professional in the medical industry. Here are a few basic tools you can use to market yourself effectively as a virtual medical assistant. Meeting people in person and online are two of the best ways to get the word out about your skills as a virtual medical assistant. While you may be great at what you do, no one will know that if you do not tell them. Make sure the people in your circle know that you are actively looking for more clients. Anytime you send an email to anyone, make sure your email signature has a catchy tagline and other information that quickly highlights your expertise. If you have a link to your own virtual medical assistant website or social media platform, include that in your signature line as well. The easier you are to find, the more business you’re likely to earn. Facebook has a tool that allows you to run your own ad campaign. It’s very simple to do and can give your virtual medical assistant career a boost. You need to do your research to make sure you’re targeting the right audience, but once you have a few successful ads, your business could really become successful. It may not seem like a good way to earn business, but starting a blog about your experiences working as a virtual medical assistant is another tool you can use to spread the word about your business. You can even create a contact page so that potential clients know how to reach you should they ever have a need for your services. It may seem like a lot of legwork, but what better way is there to let medical personnel know that you’re looking for work than to walk right into their office and tell them? You can provide a brief explanation of how your services can benefit them, and leave a business card for the office manager. Even if an office already has all the staff they need, they may know someone who could really use your help. For more information on how to take your career to the next level, visit the Avidity Medical Design blog today or enroll in the course entitled, “How to Use Social Media in Healthcare (with REAL-WORLD Examples! )” offered by Avidity Medical Design Academy. Is Facebook A Good Tool For eLearning? We’ve all heard the business benefits, but what about the benefits of Facebook in eLearning? There are actually numerous uses for Facebook in the classroom. Many of these uses most people might not think about, while others are little more obvious. However, they all increase the education quality for the students using them. Trends, polls and reviews are great way to incorporate Facebook into the classroom. Using trends and newsfeeds, students can use Facebook to track new information pertaining to subjects covered in class. The polls and reviews can collect opinions in order to maximize class experience for the students. Giving the students the ability to have their input integrated directly into the class structure. A Facebook page is a more obvious use of Facebook in the classroom. Offering an open flow forum for information that is very beneficial, much like classroom discussion. This can allow students to utilize each other for personal benefit as well as the class as a whole. This also gives the professor easy access to understanding where their students are in the learning process. Facebook Groups are an easy way too literally get everyone on the same page. Groups have the option of privacy so that only the people invited can see what happens in the group page. This is a great way for a professor to assign assignments and delegate questions from outside of the classroom. Facebook events allow professors to update the date and time for tests, as well as for make up opportunities. It is also beneficial for classes where students are required to attend outside lectures and activities. Because the events on Facebook have the capacity to sync with smart phones, students no longer have excuses for missing tests or activities. Brainstorming and sharing are two benefits that Facebook has that you don’t see as much in the classroom. Because it is text-based communication, you don’t have to worry about the conflict of people trying to talking simultaneously. This allows for sharing of discussion topics, URLs and information seamlessly among students. Facebook and other social medias have a wide variety of uses, both inside and outside the classroom. Contact us for more information about how you can integrate eLearning in your classroom. What can be said in 140 characters? To be honest a lot can be said between the first and last word that can change the world. It can start a revolution or raise awareness for a cause. The power of Twitter to shape the world is undeniable. 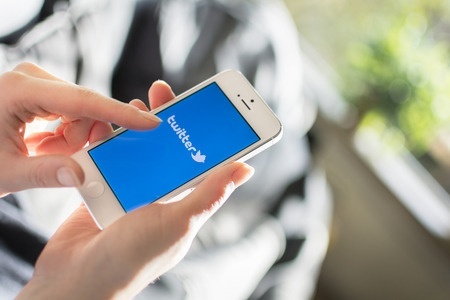 Utilizing Twitter to train healthcare students is easy once you set up your Twitter account. Twitter allows you to communicate instantaneously with anyone on the platform. This allows you to have real time conversations with your cohort about study material, class assignments and other relevant information. Organizing a study session is as simple as asking your friends to follow you and starting a conversation. The average person reads about 300 words per minute, so a study session should be easy for everyone to keep up with. The # sign or hashtag is by far the most important symbol in the Twitterverse. It serves a dual purpose. It allows you to organize your tweets and helps you find them when you need them. For example say a student wants to start a subject on ICD-10, all they would have to do is enter #ICD-10 and the tweets covering this subject with this hashtag handle can be found with a search. The hashtag makes finding and organizing your conversations efficient and easy to manage. Hashtags allow you to create communities of people interested in the same topic by making it easier for them to find and share info related to it. Along with bringing together people from all walks of life, Twitter is also an effective tool for disseminating information. Millions of Twitter users use their accounts to promote a certain agenda, spread ideas and information. Twitter allows you to link and share web pages that you think are important. While researching information for an assignment you may find something interesting on the web. The odds are that this website will have a Twitter share button for you to click. This allows your followers and classmates to see the website you shared making researching information a breeze. When these three concepts are blended together you get a platform that allows you to organize in groups, find topics and research information effortlessly. Twitter can serve as a valuable tool in educating the next generation of healthcare professionals on a platform that they are accustomed to using. If you have any questions about this topic please contact us today.